iOS 7 is finally here, and we’re all pleased as punch with it here at Exact Editions headquarters. iPads and iPhones were poised at the ready for the big update(s) on Wednesday night, and we weren’t disappointed. The new sleek interface comes with ‘zooming’ apps, new ringtones, faster email, photo organisation and Spotlight, as well as overhauls of the weather and calendar apps. What’s not to love? Whilst the ‘zooming’ open feature may leave your head spinning, we’re told that iOS 7.01 is already on its way, along with multiple bug fixes. In the meantime, though, we can all amuse ourselves with the novelty of our newly updated iThings. iOS 7 adoption is now over 41% (287 million!! ), which means it will pass iOS 6 by early next week. We’re nothing if not organised at Exact Editions: our lovely tech team rolled out version 7 of our publishers’ apps back in May, with its own new look to complement iOS 7. In the last two days, there have been 7 million iOS 7 tweets by Apple users alone. So why not let us know what you think of iOS 7 on Twitter? 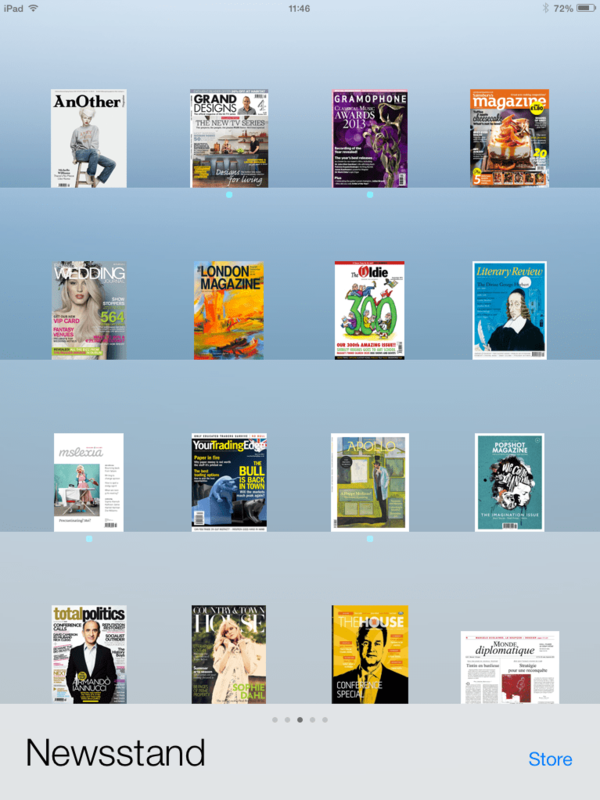 Will it change the way you read digital magazines?